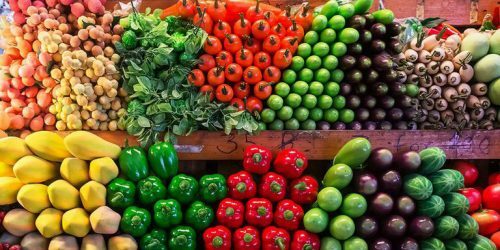 Don’t need to hands on cooking that asks for professional skills as well as experience, just right in the step of choosing, washing and storing fruits or vegetables, it requires a combination of your sense, seasonal knowledge and advice from shop owner. This is arguably the most important step and also does the premise to decide whether or not your dishes, especially your salads, are delicious. So, guys, don’t skip this step! 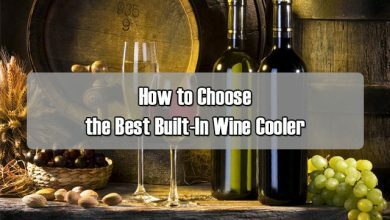 In this article, I will share you briefly yet fully all needed info to head straight to the supermarket and confidently bring some nice foods home. Don’t miss out! 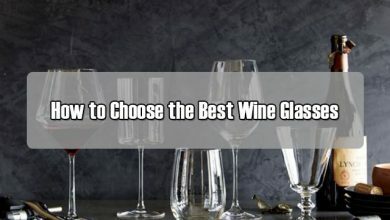 First thing first, let’s start learning on how to choose them. To choose tasty vegetables, it’s quite easy! Though there are thousands of vegetables out there on the market, I myself divide them into four main groups, each of which requires just a couple of features to consider. And, I think this is much easier for us when going to the supermarket. Those four groups are greens, roots, brassicas and others. With leafy vegetables, like silver beet, kale, spinach and chard, take notice at their leaves and stems. Pick those greens with fresh and vibrant leaves alongside with firm stems. On the contrary, don’t go with the yellow and witted leaves. Also, pay close attention to its ends as some may be recut to make a fresh alike look. Compare to greens, roots are a little bit harder to identify whether they are fresh and tasty or not. I myself usually depend mostly on its stems to choose the nice roots. Many people advise to also pay attention to its leaves, but I don’t think the same. Nowadays, some sellers do tricks on create a fresh alike look to roots, especially the leaves. Remember that good roots are synonymous to fresh and green leaves. HOWEVER, fresh and green leaves don’t mean the similar thing. Pick the root with a little bit dirt on it because this is a good sign that keeps your roots last longer. Also, make sure that they don’t go in green color as these roots are hard. Besides, hands the roots on, touch around and press gently to clarify whether they get divots or soft spots or not. Go for the firm ones and avoid the softening roots. Avoid: large and hairy taproots or wilted leaves and scaly tops beets as they might be woodier and older. Now, with brassicas, you should pick those with tightly closed leaves. Avoid the yellow or blacken ones with buds. Or, if you love eating brussels sprouts, go for the small size, shiny outer leaves, and hard sprouts. Tight leaves and they should squeak when pressing them against the others. Keep in mind these golden features and you will 90% get the tastiest fruits home, they are taste, smell and the look. When choosing fruits, it’s arguably impolite if you press all the fruit as this might cause bruise or soft spots on them for the next person. So, kindly avoid this habit! Instead, with thinner-skinned fruit, smell it. For example, if you want to buy some pearls, berries, mangoes, nectarines, apricots and cantaloupes. The more delicious smell, the tastier of the fruit. When I told you to look at the fruits, their color is the very first thing to pay attention to. Next, move on to its stem. 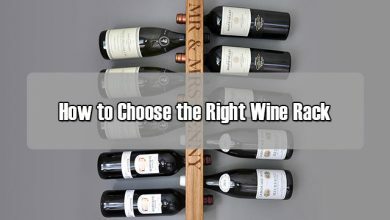 Whether it’s brown, old and withered or still fresh? I know that many of us like to pick beautiful look fruits with no signs of insect damages. HOWEVER, bugs aren’t silly. They usually pick the delicious fruits to eat. Thus, sometimes, thrip marks on citrus are a good sign of sweet fruits. This is the most reliable test to know whether the fruits taste good or not. Thus, in some supermarkets, with those fruits that are allowed tasting as trial, just go ahead because shiny and ripe look sometimes are the wrong alarm. In fact, they aren’t tasty as their look. Cherries, blueberries, grapes and dates sit in this camp. To ripen a banana, put them in a bag with a ripe apple. To ripen other fruits, put it in a bag with a banana. The smaller the cucumber/zucchini, the tastier and sweeter. You know it, pesticides are involved in countless diseases. Based on a paper released in 2008, mammals and humans can be affected by a number of pesticides because they are neurotoxins. In fact, they cause serious harms to our brain, especially the children. Studies also proven that there is a strong connection between pesticide exposure and the growth of Parkinson’s Disease. Pesticides might be good to protect fruits from insects or diseases. However, they don’t do the same thing to our health. In fact, it also causes cancer if your body consumes unnoticedly a number of pesticides in a long time, which has been proven by the International Agency for Research on Cancer, part of the World Health Organization in 2015. Other than that, it can cause obesity, neurological disorders, infertility and congenital malformations. Recently, in April 10th, EWG published a shopping guide for housewives with vegetables and fruits containing the highest levels of pesticides in the United States. They are: strawberries, spinach, peach, apple, grape, nectarine, cherries, pearl, tomatoes, celery, potato, bell pepper. What I’m trying to say is to help you realize the importance of washing your fruits and vegetables off pesticides. In fact, it’s quite easy to carry out at home and doesn’t take long time. So, why not? Fruits and vegetables with smooth surface are tomatoes, apples, mangoes and grapes. Even with such fruits that you don’t eat their skin, like mangoes, wash or spray with the solution kills bacteria and pesticides on the surface significantly. Also, this good habit helps a lot in avoid such bacteria or pesticide from sticking to the inner part while cutting. Now, use a mixture of water and vinegar at a ratio of 1 – 3, pour the mixture into a mini sprayer and spray it the surface of vegetables. Then, leave it for about 1 minute then rub them gently. Finally, rinse off with cold water. Or, the combination of vinegar and lemon is also a good choice. They work as a disinfectant and can also help remove dirt or any residual pesticide on the shell. Adding some grapefruit seed extract is a good option as it works as a powerful antifungal agent. 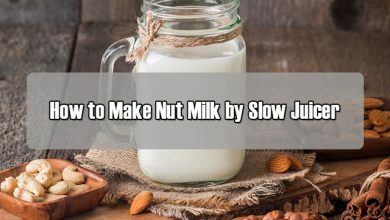 However, as they are bitter and can cause irritation, a large bottle only needs to use a small amount of Grapefruit seed extract, about 10 drops. ½ to 2 cups of water + 2 tablespoons of white vinegar + 2 tablespoons of lemon juice + 10 drops of grapefruit seed extract. By doing so, the pollutants on the vegetable surface will be blown off so, it is easier to clean it with water. For vegetables such as broccoli, green leafy vegetables, watermelon, potatoes, fruits and other products that do not have a smooth or soft surface, you should soak them in vinegar and water. Ratio: 1:3. Acid contained in vinegar will kill all bacteria. With cabbage, herbs or other types of vegetables, you need to separate the leaves and thoroughly clean them. After soaking them with vinegar for 2-3 minutes, rinse with clean water. According to the professors of Colorado State University, adding lemon juice with vinegar mixture will increase the effectiveness of cleaning vegetables thanks to the increasing acid concentration. This can help to kill large amounts of bacteria, including E. coli. There are many ways to make vegetables wash at home. Here are three good formulas to be chosen by most housewives. The first and second options are suitable for green vegetables, including lettuce, broccoli, cauliflower and leeks. 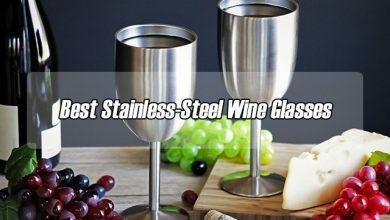 The third one is for fresh fruit. Just do not let them in soaking for too long, especially the berries. Thirty seconds to a few minutes is okay. If the vegetables are too dirty, you can wash them before you soak them. Mix them in a large bowl. Soak vegetables for a few minutes and rinse. Mix them together and then soak the vegetables from 30 seconds to 2 minutes. Finally, wash.
Do not wash the greens too early before eating. Too much moisture can make vegetables lose their tasty flavor quickly. 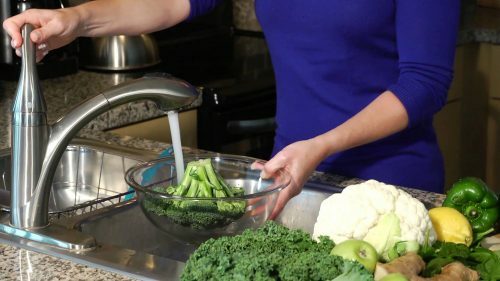 If you wash all green vegetables and store them for long periods of time, drain them before storing them in the drawer. At the same time, add a cloth or paper towel underneath vegetables to absorb the excess moisture. Mix the solutions together in a large bowl and soak the fruits in there (no more than 5 minutes). Place vegetables in a bowl of water, add some vinegar. Soak the mixture for about 15 minutes. Then, pick up vegetables and fruits, rinse thoroughly with water. Then, drain and use. When washing vegetables, you should consider to use this solution. A mixture of vinegar and water helps to clean and remove harmful pesticides and germs from vegetables. Mix the vinegar in water in a 1: 3 ratio and store this mixture in a sprayer. Shake well before use. Spray it directly onto the vegetable surface for 30 seconds before rinsing them with cold water. For hard surface vegetables such as cauliflower, potatoes … it is very difficult to clean them by just spraying the liquid mixture as above. You should soak vegetables in a mixture of vinegar with water at a ratio of 1: 3. Soak for half an hour and rinse with cold water. Soaking fruit into vinegar before eating is a good habit. Fruits are always full of bacteria and pesticides so make sure they are always cleaned. Diluted of vinegar is a great way to get rid of dirt and bacteria while preserving fresh fruit for longer. – Clean surfaces such as chopping boards, knives and plates if they are exposed to vinegar. – With cabbage and lettuce, you should throw away the outer leaves before soaking and washing the inner ones. – When shopping, you should choose fresh raw vegetables without bruise and damage. – Before using vegetables and fruits washed with vinegar, it is necessary to drain them. – Clean your hands before cleaning fresh fruits and vegetables. – Never cut fruits or peel vegetables before rinsing them, as this can cause the vegetables to become contaminated. Truth to say, this is advised by the National Pesticide Information Center. They said that it was best to avoid conventional bleach or dish soap when cleaning your fruits and vegetables. Rarely of us know that such these foods have pores, which means they can absorb dish soap or bleach and become more difficult to rinse off. 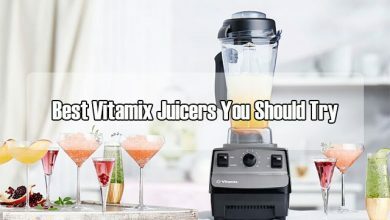 It’s even adding residues to your fruits and vegetables. So, just say no to these chemicals! All-in-all, you have to accept the truth that there is NO cleaning method that can help to erase all pesticides and other stuff on the surface of your fruits and vegetables. The only best way to eat these foods safely and healthily is to choose the organic or grow them your own. It is important to classify these foods before placing them in your refrigeration, because different types of vegetables will have different storage times and methods. 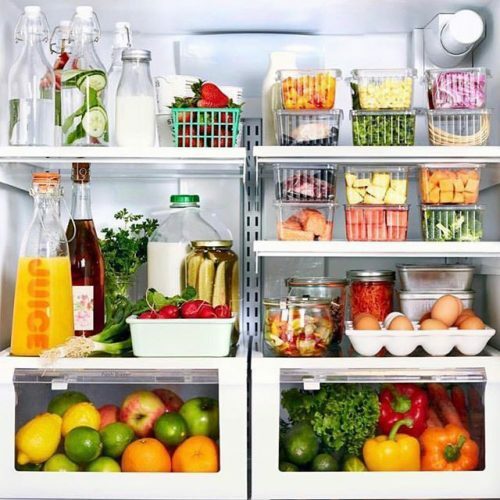 If putting all new vegetables and fruits at the same place in the refrigerator, they will be damaged more quickly alongside with losing their available nutrients. 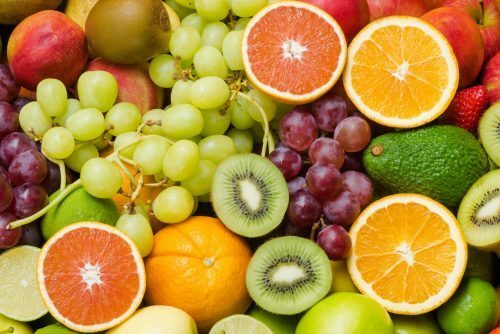 Fruit such as plums, mangoes, pears, tomatoes, bananas, etc., can produce ethylene (a substance that stimulates the ripening of fruits, even when the fruit is harvested). If you place these foods close to other vegetables such as eggplant, watermelon, potatoes, pumpkins, carrots, … they will be overripe quickly. 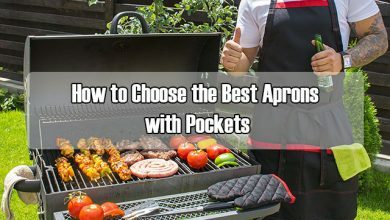 Therefore, the best way to preserve food is to sort and keep it separately. 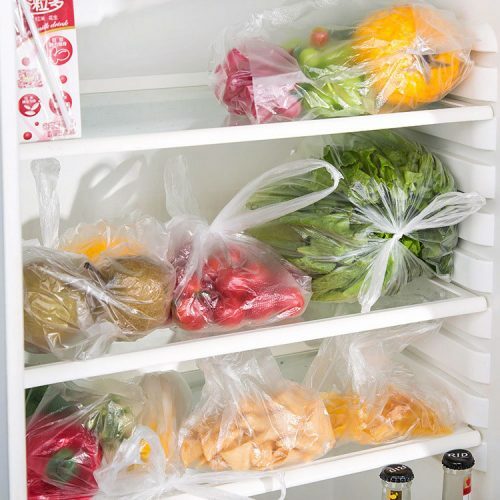 We usually wash vegetables and fruits before putting them in the fridge for convenient use. However, this makes the food quickly damaged. As when most fruits and vegetables are washed, there is a faster process of mold formation. For veggies, carrots, kohlrabi … you should cut their tops before putting them in the fridge. If the fruit is dirty, you can use a towel or a dry paper to clean it. A good tip to prevent this is to put a piece of dry paper inside the fruit or vegetable container. This paper absorbs moisture and helps vegetables avoid rotting. The humidity of the refrigerator is usually only 65%, while most fresh vegetables require 80-95% humidity. Therefore, to prevent the evaporation of food, you should place them in plastic bags, especially those that do not have an outer skin. However, not all food should be put into plastic bags. For example, tomatoes will ripen and rotten faster if you store them in plastic bags. Instead, they prefer a natural environment. Or, straw mushrooms with 90% of water will get bad smell when stored in nylon bags. The best way to keep them last longer is putting in paper bags. Note: Choose the PP bags for safety. It is one of the good ways to keep vegetables fresh longer. You should maintain the refrigerator at 34-40 degrees Fahrenheit when preserving vegetables. If the temperature is above 40 degrees Fahrenheit, it will cause the bacteria to multiply, otherwise that temperature might freeze food. Many people keep this habit when preserving fruits and veggies – cut them into pieces, place in different bags and keep in the fridge. This can be very convenient to use. HOWEVER, this will deprive the nutrients, and even stimulate the production of substances that are harmful to your health. Therefore, it’s recommended keeping intact food and store them in the fridge, during the preliminary processing, just simply remove its dirty roots. That’s all for this article! 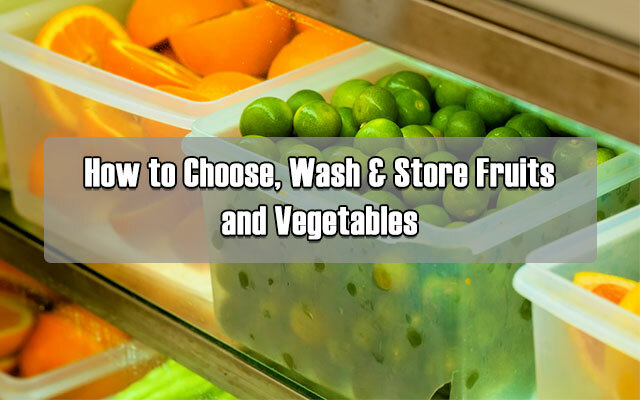 If you have any other ways to choose, wash and store fruits or vegetables, don’t hesitate to share with me. Hopefully, the provided information will help you to preserve and enjoy your foods better. Stay healthy, stay safe!